The teams were selected based on several cross country races prior to last weekend’s. 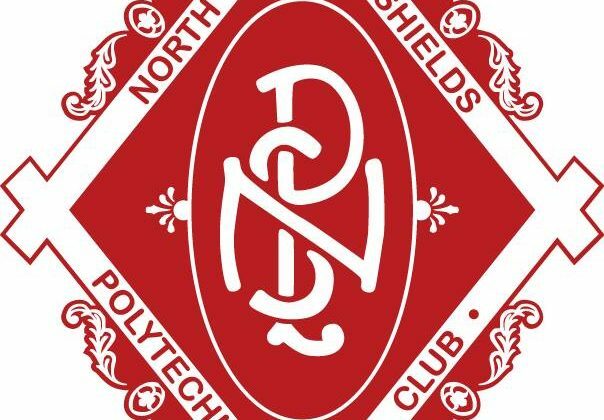 It seems like such a long time ago now; with the journey beginning back in November at our home ground of Churchill playing fields, arguably a jog for the regular Poly juniors- meaning everyone advanced onto the more significant Northumberland County Championship at Temple Park on Tuesday 16th January. 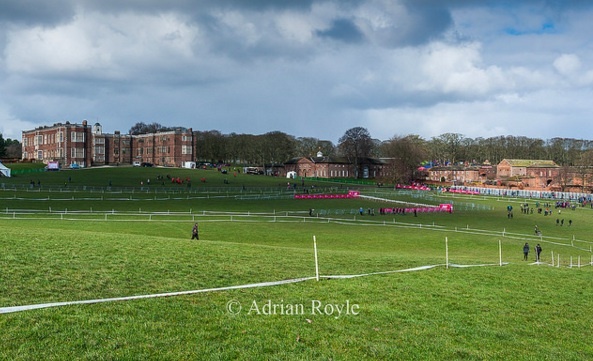 From there, the top 16 finishers would go on to run for Northumberland in the Inter-County event a couple of weeks later at Barnard Castle. However only 8 would be chosen for the Nationals. 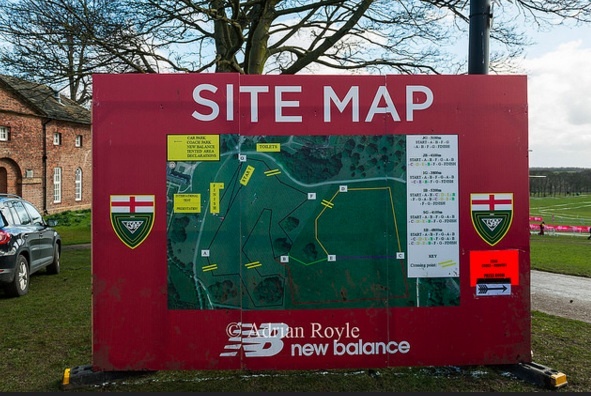 Ultimately the athletes who advanced from there were as follows: Josh Blevins, Rosie Hughes, Lily Robson, Issy Robinson and Tom Sursham (myself). First off was our Northern Cross Country Champion- Josh Blevins. 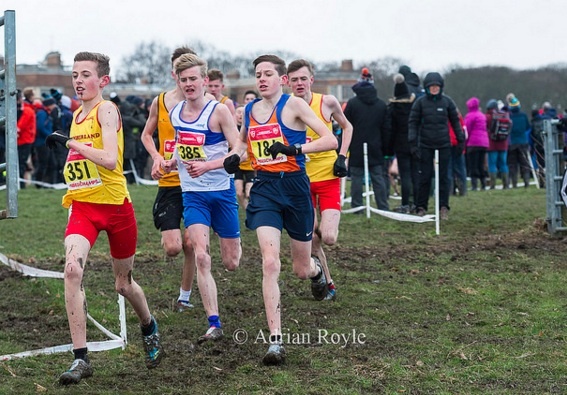 After an excellent 2nd place at the UK Inter-Counties Championship the previous weekend, everybody knew Josh was capable of continuing his exceptional form into this race. What’s more, the daunting feeling of competing in your first ever English Schools brings with it a variety of emotions to say the least over the duration of the weekend. Nonetheless that didn’t thwart him from finishing as Northumberland’s first counter- in a remarkable 20th place. As a first year junior boy too! Much respect to you Josh! Upon speaking to Josh after the race he said: “The race went really well, I’ve been getting quality sessions from Lee Morgan and going into the race I felt nervous (as every runner does). As a bottom year I wasn’t expected to be up with the front of the field, so I had less pressure. I didn’t expect to go into the race and finish where I did. The course was also really tough and hilly, plus it was longer than what I usually do too.” I’d have to agree with Josh on that note, the course was extremely tough. Particularly in those conditions. 20th place for Josh as a first year Junior Boy and 1st Northumberland counter. Not a bad day’s work! Next up was a double-bill of Poly representation as Rosie and Lily were off and running in the junior girl’s race. Like Josh, Lily had just a week previously tackled the now infamous course at Prestwold Hall- so nothing would jolt her too much. Lily put in yet another strong performance as always, despite the conditions. Her consistent runs on the mud really bode well for strong summer. Finishing as a back up counter for the Northumberland team. Rosie also ran extremely well (with it too being her first English Schools Championships) to finish in 114th as Northumberland 3rd counter. A strong finish to a good cross country season for her. Rosie Hughes holds her own against England’s top cross country runners. 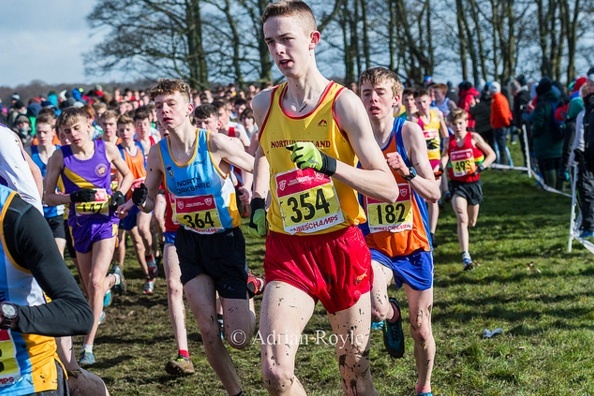 I myself ran next in the inter-boy’s race, considering the class of the lads in my team I knew I had to really pull my weight if we were going to be in a with a chance of a team prize. Everyone else will agree it was cold however I’ve never experienced such cold temperatures. You know it’s cold when wearing two pairs of gloves until five minutes before the race isn’t enough to warm your fingers to tie the laces of your spikes. Although I like a challenge and so accepted the fact that at least one of them or even both spikes would come off in the race. Unbelievably they didn’t! So, I can’t use that as an excuse for not quite running as well as I’d hoped, but I’ll take 145th for my first time. Finally, we had Issy Robinson, yet another who’d ran a week earlier, her preparation therefore couldn’t have been much better. 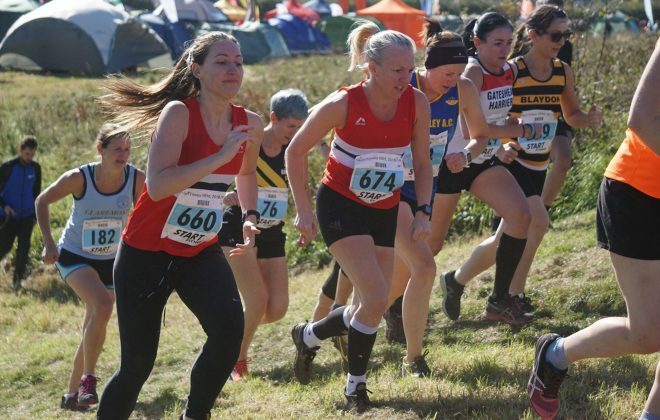 Having ran at this event several times before, Issy’s experience lead to her coming in a great 95th place as the fourth counter for Northumberland. An excellent run to say the least as the weather had turned somewhat slightly worse just as the start of the senior girls race loomed. 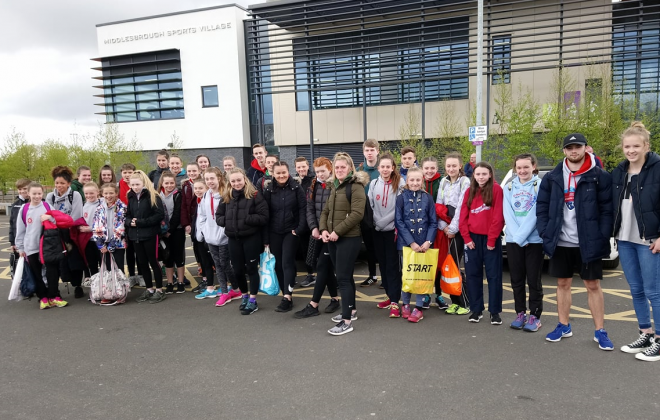 So, to conclude on the performances, it was made known as we were well on our way home on the coach that the three Northumberland boys contingents won their group competition; with the Junior boys’ team coming 4th in their race, the inters finishing 7th and the seniors in 9th. I believe the girls ages groups came 2nd in their respective competition too. A strong performance from Northumberland all round, with some England vests being won too. Notably Wallsend’s Sam Charlton, good luck to him at the SIAB. Overall you could say it was a fantastic weekend out, particularly as four out of the five of us runners were there for the first time. Many thanks to the parents who probably would’ve ran some of the course if they could, just to warm up a bit! But our performances wouldn’t be as good without your support.